Azeroth is gonna feel a bit more excelsior soon. The world of...well, us, might have lost Stan Lee last year. But the World of Warcraft is gaining a lovely little tribute to the comics icon. Stanley’s character model. Hello, Stan! The elderly human—who wanders around the Keep in Stormwind City, the capital of Warcraft’s Alliance faction—is customized to replicate Lee’s iconic mustachioed and bespectacled look in his more recent years, the time when people saw him most, via the medium of movie and game cameos. 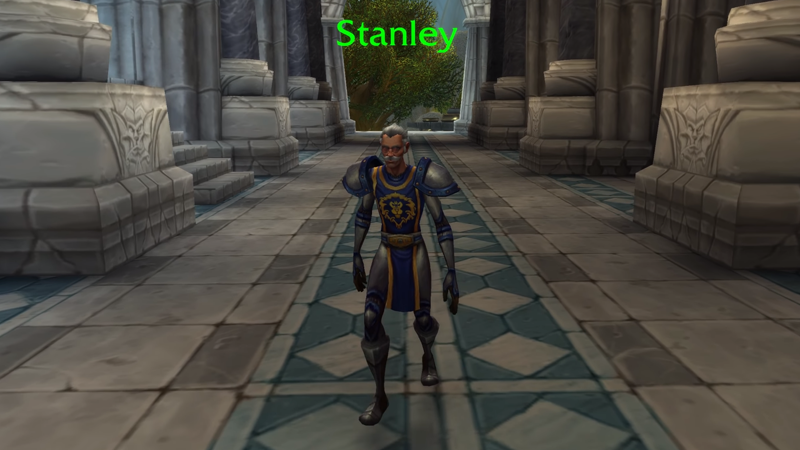 Currently, Stanley only wanders around in-game wearing the armor of a Stormwind guard, but Wowhead also datamined a version of Stanley wearing Horde armor, so if your love of Marvel transcends the Alliance/Horde rivalry that has stoked Warcraft’s conflicts for decades, you’ll likely be able to say hi to the Azerothian version of Lee when he goes live with patch 8.1.5 in the near future.